February 13: 5 POWER Lessons From 5 Leaders Who Made History On This Day! Not everyone might achieve what they dream of, yet dreaming high will help direct toward your goals well. The following 5 inspiring lessons from 5 wise leaders are sure to invoke a positive provocation in you to dream big and to never give up. Read on! Sometimes, rather than exploring outer sources, introspecting yourselves would fetch more knowledge. Thomas Robert Malthus, a scholastic person, prospected his interest and understood what he needed to give his best in his field and stood as the definition for the same. The Reverend Thomas Robert Malthus, an English cleric and scholar, influential in the fields of political economy and demography, observed in his book, An Essay on the Principle of Population, that an increase in a nation's food production improved the well-being of the populace, but the improvement was temporary because it led to population growth, which in turn restored the original per capita production level. Populations had a tendency to grow until the lower class suffered hardship and want and greater susceptibility to famine and disease, a view that is sometimes referred to as a Malthusian catastrophe. As an Anglican cleric, Malthus saw this situation as divinely imposed to teach virtuous behavior. He saw population growth as being inevitable whenever conditions improved. 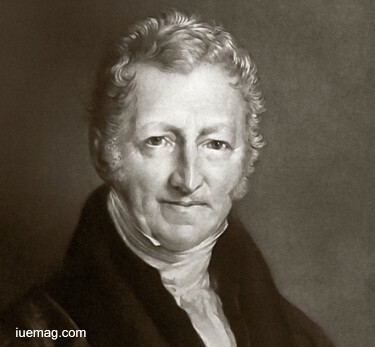 Malthus came to prominence for his essay on population growth and he published 6 editions of An Eassy on the Principle of Poppulation, updating each edition to incorporate new material, to address criticism, and to convey changes in his own perspectives on the subject. Here took place an intellectual discussion within the proponents of political economy, often called the "Malthus–Ricardo debate", after the leading figures of Malthus and David Ricardo. Ricardo was drawn into considering political economy in a less restricted sense, which might be adapted to legislation and its multiple objectives, by the thought of Malthus. Every woman is braced by courage and confidence. But how many are utilizing it? This lady did not just live her life but also led many others in the society. She incorporated wisdom at every stage of her life and established bliss for women. 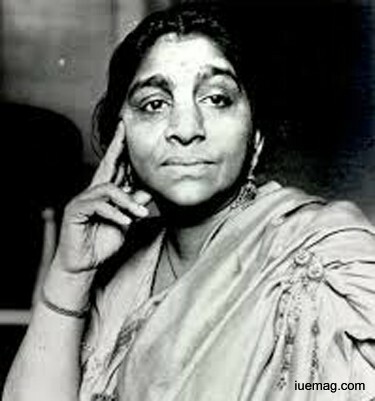 Sarojini Naidu,also known by the sobriquet Nightingale of India was a poet and a politician. She was the first woman to become the governor of an Indian state and served as the first governor of the United Provinces of Agra and Oudh. She was the second woman to become the president of the Indian National Congress. Sarojini Naidu began writing at the age of twelve. Although Inter-caste marriages were not allowed, her father approved her wedding with Govindarajulu Naidu. Sarojini joined the Indian national movement during the partition of Bengal. Travelling to different regions in India delivering lectures on social welfare, women's empowerment and nationalism, she helped to establish the Women's Indian Association. She was sent to London along with Annie Besant, President of home rule league and Women's Indian Association, to present the case for the women's vote to the Joint Select Committee. During the salt satyagraha, Naidu was one of the women protesters. Everyone is born with equal talents and skills. Sculpturing the essence of molding it helps in forming an individual whose life will be cherished throughout. Cherishing such lives helps find our enthusiasm to accomplish what we want to. Such life stories are sure to pronounce victory in each one of our lives. Robert Houghwout Jackson was a United States Solicitor General, United States Attorney General and an Associate Justice of the United States Supreme Court. He is the only person in United States history to have held all 3 of those offices. 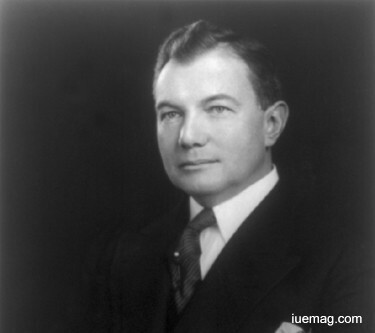 He was also the chief United States prosecutor at the Nuremberg Trials. He remained the last Supreme Court justice appointed who did not graduate from any law school, although he did attend Albany Law School in Albany, New York for a year. Many lawyers revere Justice Jackson as one of the best writers on the court, and one of the most committed to due process protections from overreaching federal agencies. He built a very successful private law practice and through practice and bar association activities, he became a prominent young lawyer nationally. In 1930, Jackson was elected to membership in the American Law Institute. In 1933, Jackson was elected chairman of the American Bar Association's Conference of Bar Association Delegates (a predecessor to today's ABA House of Delegates). Attempts may fail, but how better you become after you fail each time is what shapes your future. Development gets ripened when the cause for it is strong. This passionate inventor moved up the progressive ladder by ensuring improvement at every instant of his journey. William Bradford Shockley Jr, an American physicist and inventor, was the manager of a research group that included John Bardeen and Walter Brattain. The three scientists invented the point-contact transistor and were jointly awarded the 1956 Nobel Prize in Physics. 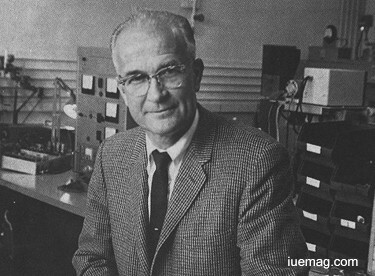 Shockley's attempts to commercialize a new transistor design led to California's "Silicon Valley" becoming a hotbed of electronics innovation. The title of his doctoral thesis was Electronic Bands in Sodium Chloride. After joining a research group headed by Clinton Davisson at Bell Labs, he published a number of fundamental papers on solid state physics. Its first attempts were based on Shockley's ideas about using an external electrical field on a semiconductor to affect its conductivity but these experiments failed every time in all sorts of configurations and materials. Few months later he invented an entirely new, considerably more robust, type of transistor with a layer or 'sandwich' structure. This structure went on to be used for the vast majority of all transistors into the 1960s, and evolved into the bipolar junction transistor. Shockley's diode equation is also described, which became the reference text for other scientists working to develop and improve new variants of the transistor and other devices based on semiconductors. On getting his first patent, "Electron Discharge Device,” he took leave from Bell Labs to become a research director at Columbia University's Anti-Submarine Warfare Operations Group. Sincerity and earnestness are the key requirements which mandatorily need to be pronounced in our work to glorify it. Serve for satisfaction and contentment and not just the sake of it. Personalities who justify their rank in profession by constantly adding into it, perfection and invoking commitment to learn are rare. 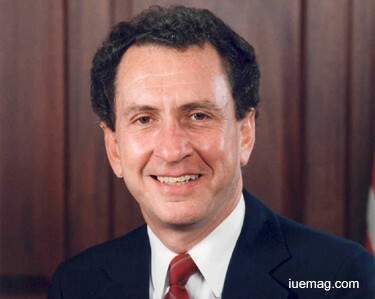 Arlen Specter was an American lawyer and politician who served as United States Senator from Pennsylvania. Specter was a Democrat, then a Republican when he switched back to the Democratic Party. He represented his state in the Senate for 30 years, during which he marked his place in the political center. Later, he was selected by Time as one of America's Ten Best Senators. During the Korean War, he served stateside in the United States Air Force and obtained the rank of first lieutenant as an officer in the Air Force Office of Special Investigations Corps and co-sponsored an amendment to the Fair Housing Act of 1968, which prohibited discrimination in the rental, sale, marketing, and financing of the nation's housing. Specter also sponsored legislation to fix a long-standing inequity in American law that shut out a majority of U.S. Armed Forces service members from equal access to the U.S. Supreme Court. Former Senator Arlen Specter donated to Philadelphia University nearly 2,700 boxes of historical papers, including materials associated with his role as assistant counsel on the Warren Commission. Any facts, figures or references stated here are made by the author & don't reflect the endorsement of iU at all times unless otherwise drafted by official staff at iU. This article was first published here on 12th February 2017.